Innovation is one of the most powerful ways to create jobs and drive economic growth. In addition, new technologies and developments can help solve some of the world's problems. It is no surprise then, that one of the top policy priorities of the EU is to help innovative businesses, especially small and medium sized enterprises. 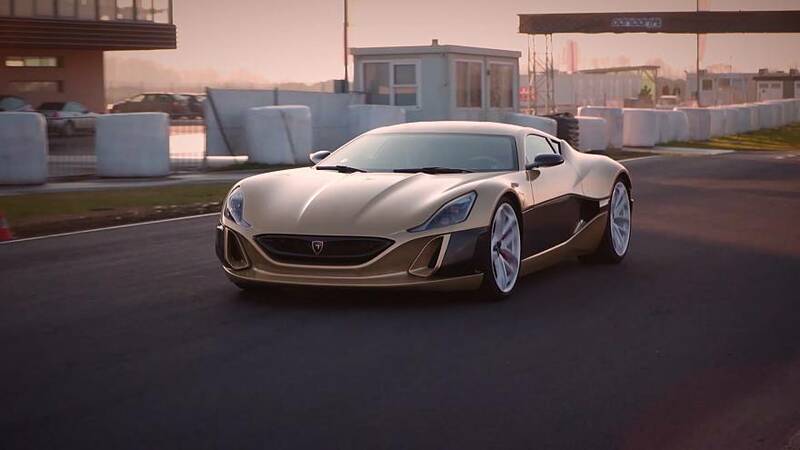 One Croatian company winning plaudits for its groundbreaking technologies is Rimac Automobili. Based on the outskirts of Zagreb, the firm makes electric hypercars. Rimac's first model, the Concept One, is the world's fastest production hyper-electric vehicle. Its C_Two model, the Concept One's successor, is even faster and will soon be ready. In addition to building ultra-fast cars Rimac also supplies batteries, powertrains and provides technology solutions to the motor industry's big car brands, like Porsche, Renault, Seat, Aston Martin and more. The firm's expansion has been extraordinary. Founded in a garage in 2009, it now employs around 500 people. The EU has a number of policies and programmes designed to foster innovation. These seek to increase investment in research and development, and to better convert that research into improved goods, services, or processes for the market. This is mainly done through the Horizon 2020 programme and the European Structural and Investment Funds. "The EU helps innovative companies in different ways including funding, but also helping them accessing new markets, finding business and technology partners in other countries and better understanding EU legislation." Rimac recently obtained a 30 million euro loan from the EU, via the European Investment Bank. The money will be used for further research and development and marketing, to enable expansion into Asia and Europe. Rimac Automobili will also take part in this year's EU Industry Days, Europe's flagship annual conference on innovation and industrial policy. The Brussels based event, which takes place between February 5 and 6, aims to discuss the European Commission's strategic approach to industry and develop ways to strengthen Europe's global competitiveness. "The EU industry days is the very inclusive forum for dialogue on European industry. This year we expect more than a thousand participants and even more people following discussions live on the web. Plus hundreds of people attending local events all over Europe." Innovation is key for EU companies. Innovative businesses experience higher turnover and are better placed to compete globally. Innovative technologies can help us solve today’s problems. For example, electric cars help reduce emissions from road transport and improve air quality. Rimac Automobili is a Croatian company that is bringing a number of breakthrough technologies to the automotive market. They develop high-performance electric cars as well as provide new technology solutions for the global automotive industry. In December 2018, they got a €30 million loan from the European Investment Bank to continue developing their electric driving technologies. Rimac Automobili will also be part of the EU Industry Days in February 2019, an annual event on industry, discussing latest trends, achievements and needs.